A dream beach from our dream partners - © mlehmann78 - Fotolia.com A dream beach from our dream partners at Fotolia. The launch of Argophilia Travel Albania today may not be the kind of cutting edge news Tnooz or Gadling will pay attention to. However, for those out there that believe in what the so called “little guy” is capable of, maybe a new Albanian travel site should be news? How big? Well, that depends on how big an editor’s dreams are. And, in the end, how big a small nation’s dreams reach. My partner and I sometimes sit in our garden, mulling over the events of the day, in the world, not unlike millions of other people. “What if” – a question altruistic people have always asked – but then, Machiavellian types wonder this too. Argo Albania though, came about from the central idea that people everywhere matter – should have a voice – the Web 2.0 dogma that helped make visible the so called “citizen journalist” – an idea, it seem, that has been rolled over by traditional business’ march onto the Web. I cannot remember who predicted this would happen, maybe my friend Michael Arrington? Whoever it was, he or she was right. If it is not about Steve Job’s sweater or latest whim, it is not in vogue. Sad, but true. The reason you are reading this travel news site, the reason people in PR and marketing read Everything PR News, and 10,000 other outlets like them is because of energy applied by people with information – and Argophilia Travel is about the pitifully tiny and obscured bits of information about fantastic places, wonderful people, treasures beyond most people’s comprehension. Sadly, 99.9 percent of the people reading this (about 2,000 today) could not pinpoint Albania on a map if their life depended on it. 300,000 years of people roaming about Earth, and finding anything cool to do in the capital of Albania is near impossible (just finding it problematic for most people) – the land of the proud Illyrian’s so far lost in eternal commercialism not even mighty TripAdvisor can come up with a travel value there. Look at it this way, there’s a hell of a lot more out there than anyone has shown you – check the video above from the Albanian Tourism Ministry. 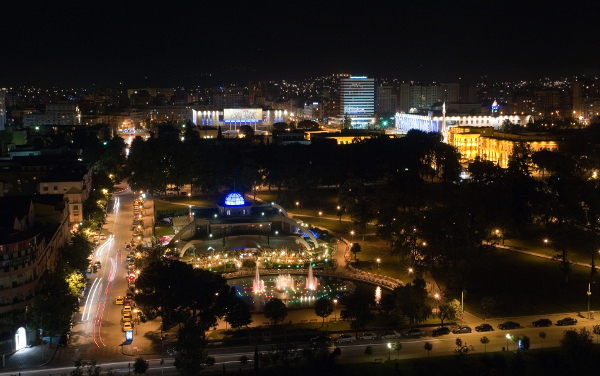 In Albania’s capital, there are a total of 19 attractions listed on the world’s most visited travel portal. The top attraction is understandably the Et’hem Bey Mosque. One person reviewed this historic place in Albania on TA, kindly adding what has to be considered the least attractive photo ever taken of the place. I know all of Albanian’s cheer the fact a leading world business even nodded in their direction. I made reference to TripAdvisor specifically to explain why we are building Argo Travel and Travel News. Most corporations could care less about Albanians, Croatians, even Greeks, people period. This fact, we all know to be true. Somehow though, it seems that the millennium of human existence here could eventually evolve into a system, a business where all the people are important. Altruism and idealism? Of course, but isn’t excellence an ideal? TripAdvisor, nor any of the major online travel giants, offer a shred of value – information – the truth about places like Albania. And we should know, we are doing the research to build value. What you see today is not cutting edge technology, Albania tourism does not need that. Argophilia Travel Albania is not even a complete platform – it may never be – the world does not want discovering Albania, or any other place to be – complete. There are 26 attractions, plus or minus, on Argophilia Travel Albania at this moment. Within a few days this number will have increased two fold. Not just via research by us, and not from scraping duplicate data from other sources, but by businesses and people on the ground there in Albania. More as the development progresses. We encourage those interested to give us your feedback on Albania, the first of many installments of Argo Travel. Cheers until then. For more information about this news, please visit the original press release with our friends at PRWeb.